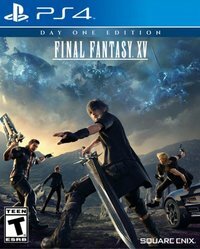 While it's based on the same basic gameplay as the main game, the Final Fantasy XV Comrades multiplayer expansion DLC actually takes a number of mechanics from the main game and significantly adjusts and alters them to make them more fit for multiplayer online progression systems. Weapons are one such area to have had such an overhaul, since you can now upgrade, remodel and improve them alongside your own progression. 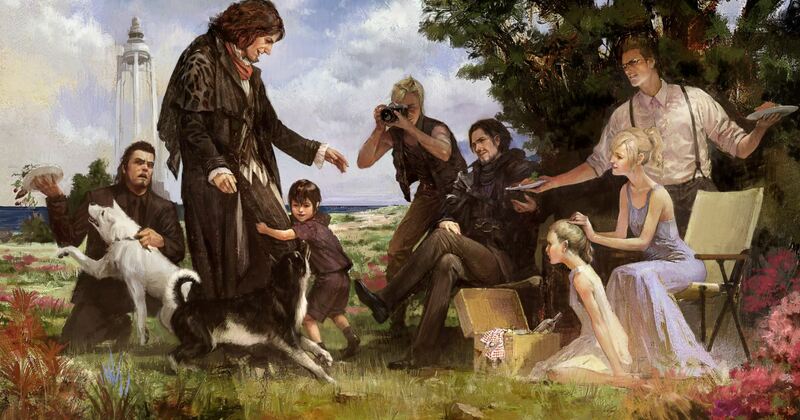 The weapon improvement system in FF15 Comrades can be a little confusing at first, but have no fear - much as with how to get and start the FF15 Comrades DLC in the first place and choosing your Kingsglaive's birthplace, we're here to break down the complicated ins-and-outs of it all. So - let's get cracking with just that! 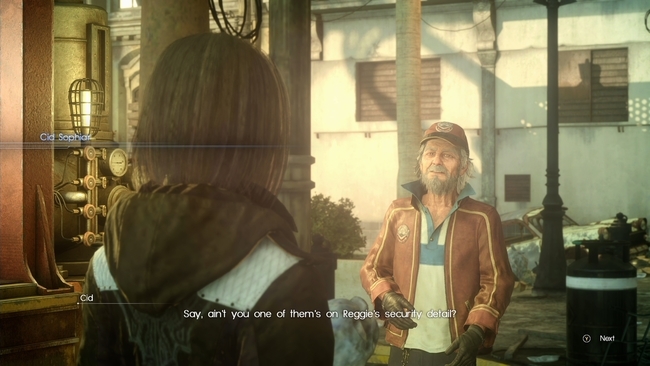 This page is for FF15: Comrades, the multiplayer mode. If you're after weapon advice for the single player, check our our FF15 Best Weapons guide and our page on how to fully upgrade the Engine Blade. 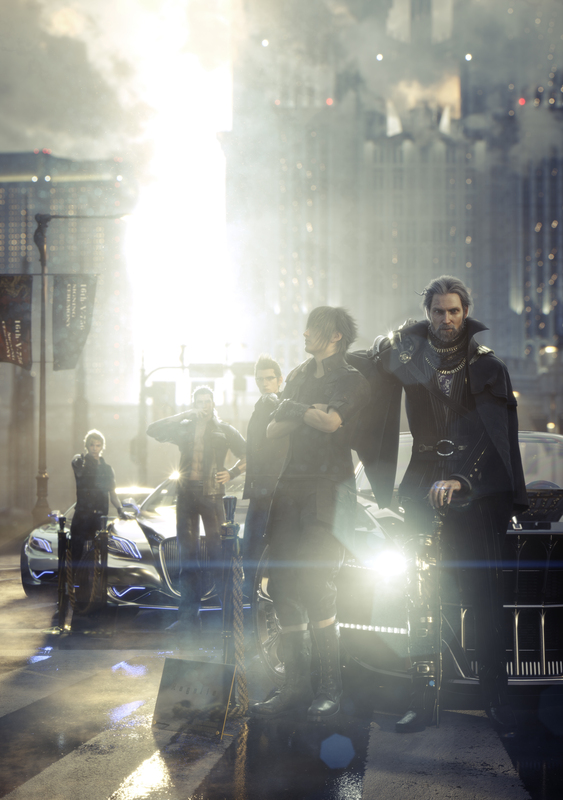 As you complete the first few missions and objectives in the world of FF15 Comrades, your Kingslgiave will gain access to various new resources. There's a clothes shop, your quest desk and finally - last but not least - the all-important remodeling station. This little desk is staffed by Cid (of course), and once it's in place and lit up you can use it to improve your weapons. This menu isn't much to look at initially, but there's a surprising amount of hidden depth to this system. At the main store in the hub area you'll find seven different weapons available. These weapons are basic, but you can upgrade them by spending monster parts you pick up as loot from missions. Upgrading weapons improves their base stats, but each weapon has a hidden objective. If you hit that objective, you'll be able to 'remodel' thje weapon into a newer, better weapon, carrying over the stats. For example, if your Katana has at least 30 STR (Strength) stat, it can then be turned into a Warblade, the next wepaon up its evolutionary chain. 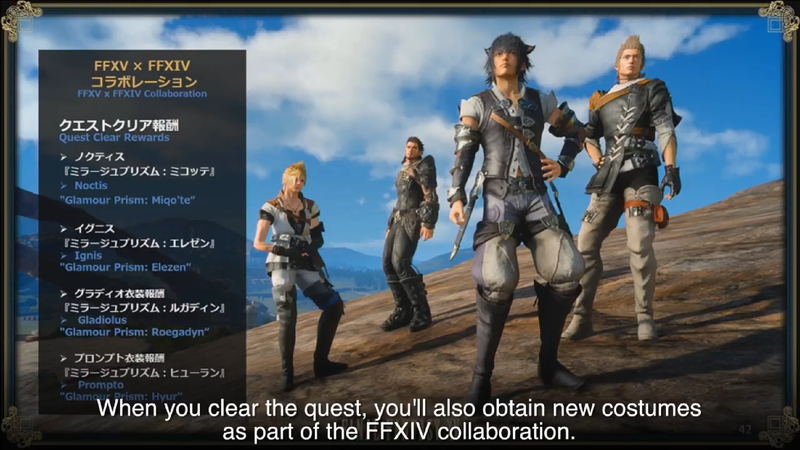 The weapons in FF15 Comrades can have upgrades in a number of areas including the game's basic stats - Strength (STR), Vitality (VIT), Magic (MAG) and Spirit (SPI) - incidentally, this is the order these things are in on the menu and in the screenshot above (see the bottom right). There's also HP (Health), MP (Magic Points) and several elemental effects. If you want to know more about the best items to use for each stat upgrade, we've got a guide page all about that. At a glance you can find out what a weapon wants you to upgrade by looking for a progress bar under the elements in question (or by using our handy guide below! ), so be sure to feed each weapon the right types of loot. 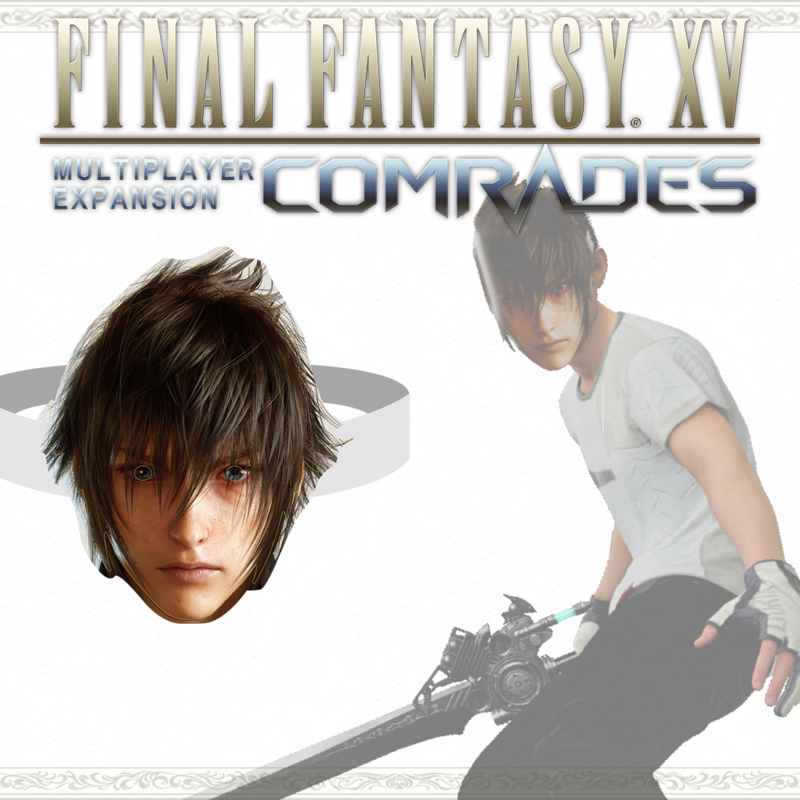 When you complete the tutorial missions of FF15 Comrades you'll find yourself booted out into the game's hub area with two weapons: A Katana and some Daggers. This isn't all you're limited to, however, and once the in-game shop opens up you'll have access to seven different weapon types. A basic weapon in each category is available immediately and can be upgraded, but as you progress you'll unlock more basic weapons that are different and have different upgrade requirements. Below, we list every type of weapon, all of the weapons we've found so far and their upgrade requirements. We'll also list weapon skills - special abilities that some weapons have. 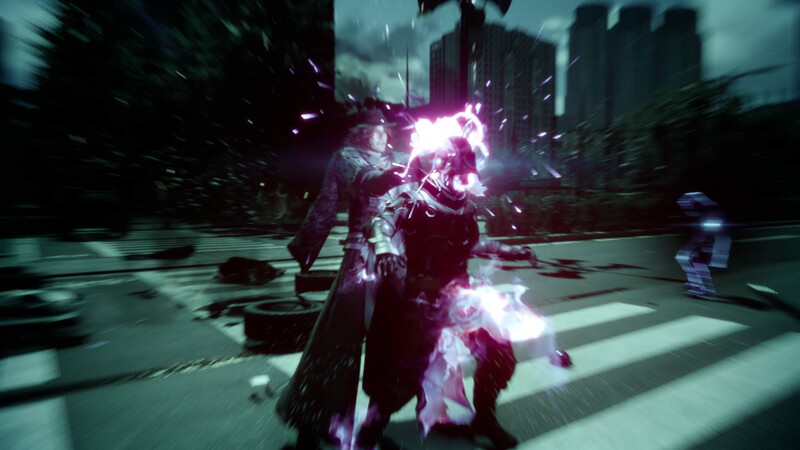 If you want to know more about these special abilities, check out our FF15 Comrades weapon skills & weapon effects guide. 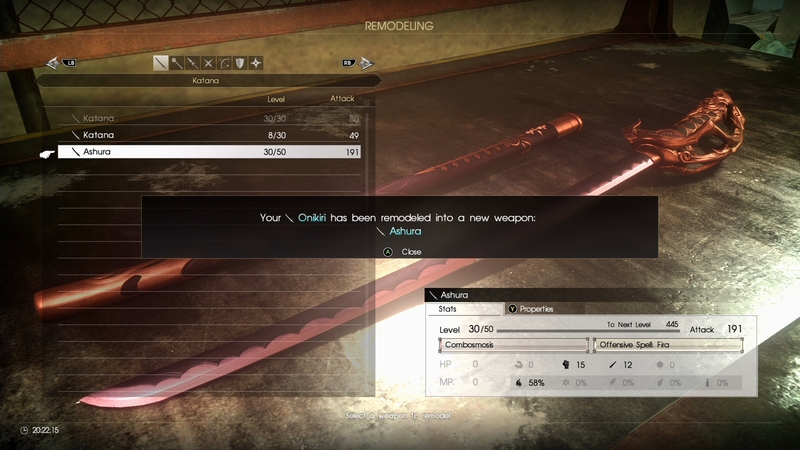 If you need help finding the best items to use remodeling any given weapon, check out our FF15 Weapon Remodeling Materials guide We'll update as we find more. Armaments boasting excellent reach and mobility. Tilting the left stick allows the wielder to move about the field while attacking. 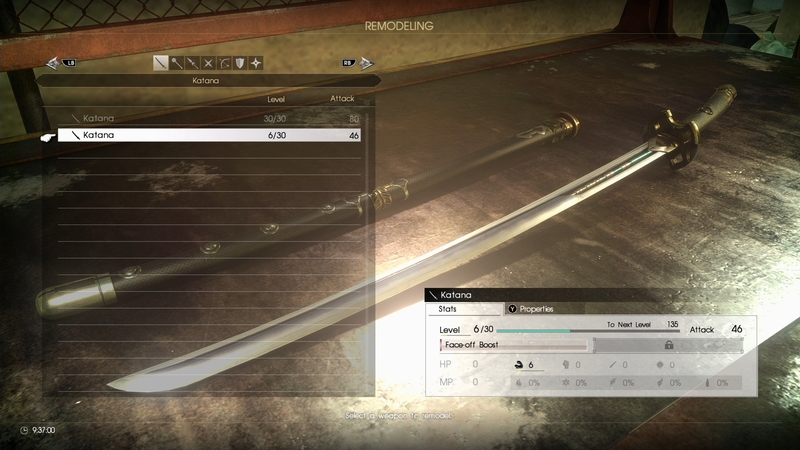 Evolve from a katana with 30 strength. Has the Charge Strike: Savage Swipe ability. Tayodashi - final form of the katana. Max level: 60. Evolves from a Warblade with 25 Vitality and 25 Spirit. Has the Charge Strike: Savvage Swipe ability. Ashura - Second and final form of Onikiri. Max level 50. Evolves from Onikiri so long as you have a Fire 50% enchantment. Has the Combosmosis and Offensive Spell: Fira abilities. Nobukuni - available in Lestallum. Max level 20. Osafune - Max level 50. Mukademaru - The final form of the Mythril Katana. Max level 70. 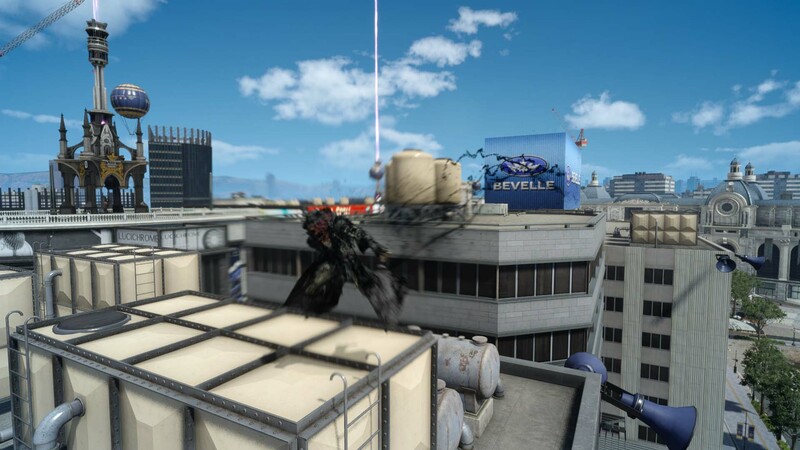 Samoji - rewarded from a defeating Gladio. Max level 50. Cannot be remodeled. Has the Face-Off Boost X skill. Raikiri - evolved version of the Chizuru. Max level 60. Remodeled from the Onikiri when it has 60% Lightning Enchantment. Has the Offensive Spell: Thundara ability. Mikazuki - Found in Meldacio (Trading Post). Max level 99. Honebami - improved Yoshimitsu. Max Level 99. Evolves from a Yoshimitsu with 30 Strength and 30 Magic. Has the Flesh of Steel ability. Sennin-Giri - Max Level 60, the second form of the Nameless Blade. Remodels when you have a nameless blade with 30 Strength and 30 Spirit. Infinity Blade - Max level 99, the final form of the Nameless Blade. Evolves from a Sennin-Giri with 60 Strength, 60 Vitality and 60 Spirit. Has the unique Rush Boost X ability. Lucian Saber - Free Weapon from the 1.1 update. Max level 1, Max Attack 40. Zenigiri - Found in a Map Node in the 1.2 update. Has the unique Spare Change ability. Max Level 50. Dancing Blade - Trade at the Norduscaen Garrison. Max Level 50. Has the Blade Dance ability. Besmirched Blade (ver 1) - Drops from a Malboro ('The Malevolent Malboro' or 'Smog on the Water'). Max Level 20. 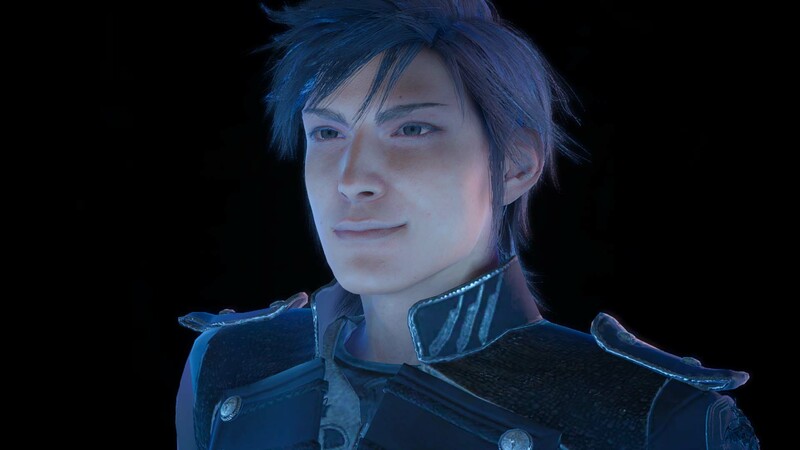 Remodels when the V1 Besmirched Blade hits maximum level regardless of stats. Has the Lifedrain X skill. Yoshimitsu - Evolves from the Besmirched Blade. Max level 50. Honebami - the final form of the Besmirched Blade. Max level 99. Besmirched Blade (ver 3) - A drop from Aramusha ('Convoy to the Quay'). Max Level 50. Becomes the..
Remodels when the Besmirched Blade hits max level regardless of stats. Has the Turnabout Boost II and Charge Strike: Clearout abilities. Besmirched Blade (ver 4) - Rare Drop from Mutant Deathclaw ('Dave-ja Vu'). Max Level 50. Turns into..
Evolves from the ver 4 blade with 50% Fire, Ice, and Thunder. Amenohabakiri - Final Form of the ver 4 Besmirched Blade. Max Level 99. Upgrades from the Rokusho with 99% Fire, Ice, and Lightning upgrades. Has the unique ability Lion's Roar. Powerful armaments that can destroy appendages with ease. Holding B / Circle allows the wielder to channel their strength into a devastating charge attack. Get this via a mace with 30 Strength & 30 Vitality. Ogre Hammer - final form of the Mace. Max level 60. Remodels from a War Hammer with 60 Strength and 60 Vitality. Has Charge Strike: Savage Swipe ability. Cambanteinn - evolves from the Mythril Hammer. Max level 50. Evolves from a Mythril Hammer with 30 Vitality and 30 Spirit. Nehushtan - the final form of the Mythril Hammer. Max Level 70. Remodels from a Cambanteinn with 50 Magic and 55 Spirit. Sabertusk Slayer - second form of the Morning Star - max level 50. Evolves from a Morning Star with 30 Magic and 30 Vitality. Gneisenau - final form of the Morning Star. Max Level 60. Evolves from a Sabertusk Slayer with 60 Vitality and 60 Strength. Has the unique ability Bonecrusher X along with Intimidator X. Imperial Axe - found in Meldacio. Max level 40 and has the Punisher II ability. Golden Axe - final form of the Imperial Axe. Grows from an Imperial Axe with 120 HP - which the Imperial Axe will have by default! Behemoth Masher - Max level 50. Second form of the Battle Mace. Has the Undaunted II skill. Scharnhorst - Max level 70. Final form of the Battle Mace. Squeaky Hammer - Purchased in Cauthess. Has Stoptouch X with Max level of 20. Hammerhead - Won from your rematch with Ignis. Max level 30. Becomes..
Upgrades from Hammerhead with 20 Strength, Vitality, Magic, and Spirit. Has the Supercharge Strike Ability. Dreadnought - Final form of the Hammerhead. Max level 99. Evolves from Ironskull Hammer with 50 Strength, Vitality, Magic, and Spirit. Cactuar Mace - Traded at Norduscaen Garrison. Has the unique skill 1000 Needles. Max Level 30. Turns into the..
Gigantaur Mace - 2nd form of the Cactuar Mace. Max level of 70. Also has 1,000 Needles ability. 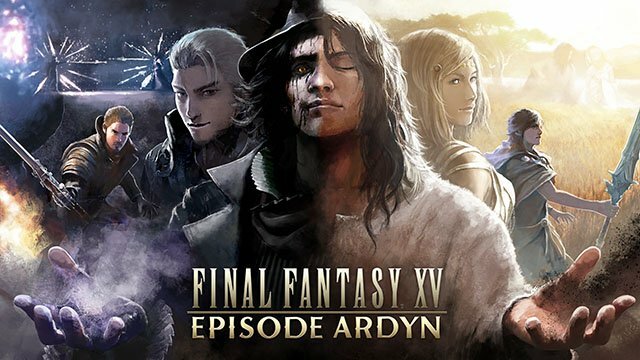 Upgrades from Cactuar Mace at Level 30 regardless of stats. Golden Gigantaur Mace - Final form of the Cactuar Mace. Max level 99. Upgrades from Gigantuar Mace with 100 Strength and 100 Vitality. Has the unique 10,000 Needles ability. Seismic Shaker - the upgraded Tainted Club. Max level 70. Evolves from a Tainted Club with 30 Strength, 30 Vitality and 30 Spirit. Has the Charge Strike: Clearout ability and Crusher X. Tainted Club (Durbost) - Max level 50. Can drop from the boss in the 'Burbost Daemon Emporium' quest. Thor's Hammer - Max level 99. Final form of the Durbost Tainted Club. Grows from a Durbost Tainted Club with 60 Strength and 60 Magic. Has the abilities Stormbound and Offensive Spell: Thundaga. Tainted Club (Hut) - Max level 30. Can drop from the Black Flan in the 'Havoc Befalls the Hut' quest. Vesper Mace - Max level 50. Grows from the Hut Tainted Club when it has 40 Spirit. Has the Curative Spell: Cura skill. Vitanova - Max level 60. Final form of the Hut Tainted Club. Has the Curative Spell: Curaga skill. Armaments that allow the wielder to move around the field with ease. Ideal for fast-paced battles. Heavy Lance - second form of the Javelin. Max level 50. Evolves from a Javelin with 25 Vitality. Knight's Lance - final form of the Javelin. Max level 60. Evolves from a Heavy Lance with 55 Vitality and 55 Strength. Halberd - Max level of 30, found in Lestallum. Has the Undaunted II ability. Chariot - Max level of 70. Grows from a Halberd with 40 Strength and 40 Spirit. Rapier Lance - Max level of 50. 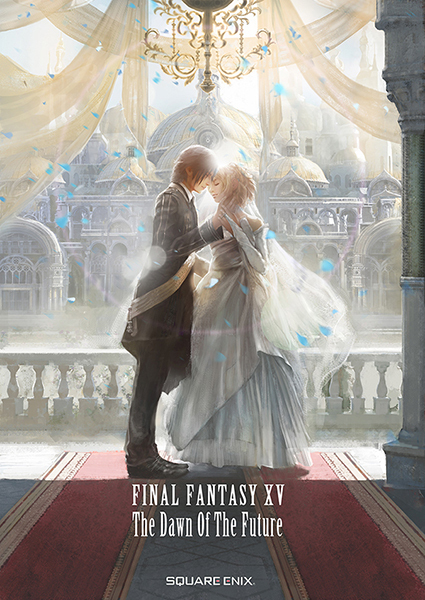 Second form of the Mythril Lance. Remodels from a Mythril Lance with 30 spirit. Radiant Lance - max level 60. Final form of the Mythril Lance. Remodels from a Rapier Lance with 50 Vitality and 50 Spirit. Has the Lightbound and Critical Boost X skills. Obelisk - max level of 30. Found in Old Lestallum. Cannot remodel. Rebel Lance - remodeled version of the Rhomphaia. Max level 40. Remodels from a Rhomphaia with a 75 HP stat. Knight's Lance - Found in Meldacio (trading post). Max level 30. Has the Crusher II ability. Cannot remodel. Harpoon - Second form of the Corsesca. Max level of 60. Remodels from a Corsesca with 20 Strength, 20 Vitality, 20 Magic and 20 Spirit. Has the Penetrator II Skill. Dragon Whisker - the final form of the Corsesca with a max level of 99. Remodels from a Harpoon with 100 Strength and 100 Vitality. Has the Penetrator X ability. Partisan - Second form of the Storm Lance with a max level of 40. Evolves from a Storm Lance with 40 Vitality. Precision Lance - final form of the Storm Lance. Max level 60. Deck Brush - Quest reward for Cindy's side quest. Travel from the Norduscaen Garrison to Old Lestallum to the Hunter HQ and back to the Garrison. Max level 10 with Curative Spell: Esuna and Lightbound. Kain's Lance - Found in a 1.2 Map Node. Max Level 99. Comes with the unique Chaosbringer and Warp Spell: Thundaga. Dulled Spear (Kain's Dismantle) - available when Kain's Lance is dismantled. Max level 60. Can be upgraded from Dull Spear with 99% Lightning. Again has Chaosbringer and Warp Spell: Thundaga. Dragoon Lance - Max level 50. Second form of the Dulled Spear. Remodels from a Dulled Spear with 20 Vitality and 20 Magic. Wyvern Lance - Max level 70, final weapon in this line. Remodels from a Dragoon Lance with 50 Strength, 50 Vitality and 50 Magic. Dulled Spear (Brain) - Max level 30. Drops from breaking the Braindancer in the 'Shields for Meldacio' quest. Ice Lance - Max level 60, middle of this line. Remodels from a Dulled Spear (Braindancer) with 40 Ice Elemental. Brionac - Max level 70, final form of the Dulled Spear from the Braindancer. Remodels from the Ice Lance with 99 Ice Elemental. Has the Charge Strike: Clearout and Warp Combo: Blizzaga skills. Paired armaments efficient for striking swiftly. Damage output increases with each successive strike. Delta Daggers - Second form of the daggers. Max level 40. Evolves from daggers that have 25 Spirit. Parrying Daggers - the final form of daggers with a maximum level of 60. Evolves from Delta Daggers with 55 Vitality and 30 Spirit. Organyxes - Max level 50. Remodels from the Mythril Knives when they have 20 Strength, 20 Spirit, 20 Vitality and 20 Magic. Has the Turnabout Boost II ability. Cassandra's Daggers - Max level 70, the final form of the Mythril Knives. Remodels from Organyxes with 60 Strength, 60 Vitality, 60 Magic and 60 Spirit. Has the Charge Strike: Savage Swipe and Turnabout Boost X skills. Scramasaxes - found in Old Lestallum with a maximum level of 20. Cannot be remodeled. Stingers - Max level 50. Grow from Cutlasses with 30 Spirit. Has the Brink Boost II ability. Avengers - Final form of the Cutlasses. Max level 60. Remodel from Stingers with 40 Strength and 40 Spirit. Vigilantes - found in Meldacio. Maximum level of 40. Stoptouch ability. Imperial X-Blades - maximum level 60. Remodels from Imperial Blades with a +100HP stat (which it should have by default). Has the skill Lifedrain II. Assassin's Daggers - Drops from a quest boss, (The Necromancer in 'Lighting the Way') or can be traded for in Meldacio Hunter HQ. Has the Deathtouch ability. Max level 30. Kitchen Knives II - maximum level 60. Remodel these from Kitchen Knives with 30% Dark enchantment. Has the Everyone's Rancor ability. Kitchen Knives III - maximum level 99, and the final form. Remodel from Kitchen Knives II with 100% Dark enchantment. Has the Everyone's Emnity ability. Dancing Daggers - In Cauthess. Max level 30. has the unique Jitterbug skill. Bandit's Blades - Won from the Chocomostro. Max level 30 with the unique Master Thief ability. Befouled Blades (Bandersnatch) - Drop from the 'The Baleful Bandersnatch' quest by breaking the Bandersnatch's face body part. Max level 20. Scarlet Blades - Second form of the Befouled Blades, Max level 50. Crimson Flashes - Final form of the Befouled Blades, max level 70. Has the Warp Combo: Firaga skill, plus one spare skill slot. Befouled Blades (Lohengrin version) - Rare drop from the King Behemoth in 'Departure'. Max level of 30. Orichalcums - 2nd from of this dagger set. Max Level 60. Upgrades from Befouled Blades with 20% Fire, Ice, and Lightning. Has the Offensive Spell: Diara ability. Lohengrins - Final form of this set. Max level 99. Has the unique Offensive Spell Diaga. Upgrades from Orichalcums with 60 Strength and Magic. Long-ranged armaments able to target enemies from afar. 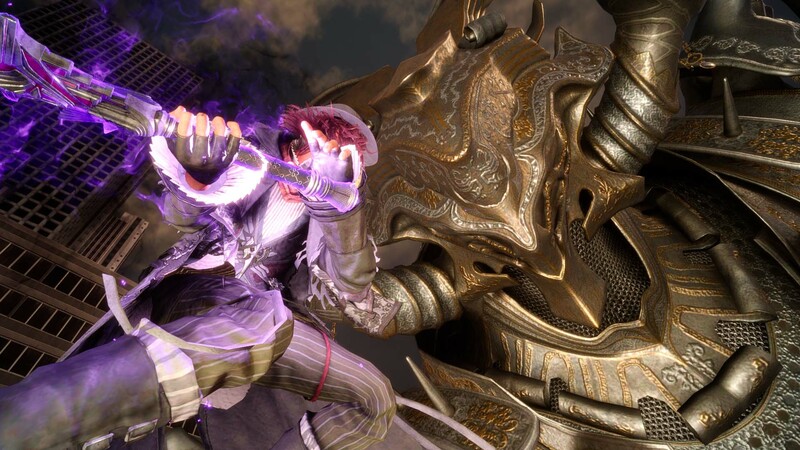 Holding B / Circle allows the wielder to channel their strength into a devastating charge attack. Twin Bow - Second form of the crossbow. Max level of 40. Arbalest - the final form of the Crossbow, max level 50. Evolves from a Twin Bow with 40 Strength and 40 Magic. Venom Bow - found in Meldacio and has a maximum level of 20. Has the Poisontouch ability and cannot be remodeled. Osmose Bow - grab it from Lestallum - max level 30. Has the Soulsiphon ability and cannot be remodeled. Freeze Bow - found in Lestallum, max level 30. Stoptouch ability and cannot be remodeled. Penetrator Bow - maximum level of 50. Remodels from a piercing bow with 30 Strength and 30 Magic. Mythril Bow - Max level 60, and the second form of the Jahrk. Remodels from a Jahrk with 30 Magic stat. Elder Bow - the final form of the Jahrk. Max level 99. Remodels from a Mythril Bow with 30% Fire, 30% Ice and 30% Lightning Enchantments. Great Bow - Max level 45. Gastrophetes - Max level 60. Final form of the Hunter's Bow. Lightbound and Charge Boost X abilities. Faded Crossbow - Found in a map node in 1.2 Max level of 50. Can be upgraded..
Esuna Bow - Second form of this bow. Max level of 70. Evolves from Faded Crossbow with 50 Spirit. Comes with Curative Spell: Esuna. Artemis's Bow - The final form of this bow. Max level 99. Comes with Curative Spell: Curaga and Curative Spell: Esuna. Upgrades from Esuna Bow with 80 Magic and 80 Spirit. Pulse Bow - Acquired after entering Hidden Harbor once you obtain the Pure Adamantite from a map node. Max Level 99 with the unique Electropulse ability. Defense-oriented armaments that boost HP and vitality. Reduce damage taken from enemy attacks. Flame Shield - Max level 30, found in Lestallum. Cannot be remodeled. Ice Shield - Max level 30, found in Old Lestallum. Cannot be remodeled. Storm Shield - Maximum level 30 and grabbed in Meldacio. Cannot be remodeled. Antistone Shield - Found in Meldacio. Max level 30. Stoneproof skill. Cannot be remodeled. Antivenom Shield - Max level 30, found in Lestallum. Poisonproof skill. Cannot be remodeled. Clarity Shield - Maximum level 50 and taken from Meldacio. Unique Confuseproof skill. Cannot be remodeled. Hero's Shield - From Old Lestallum. Max level 30. Curative Spell : Cure skill. Cannot be remodeled. Inertia Shield - From Lestallum, with a Max level of 30. Stopproof skill. Cannot be remodeled. Immortal Aegis - From Cauthess. Max level 50, with Deathproof skill. Cannot be remodeled. Power Shield - middle form of the Kite Shield with a maximum level of 50. Can be bought at Meldacio (trading post). Remodels from a Kite Shield with 20 Vitality and 20 Spirit. Black Prince - maximum level 70, and the final form of the Kite Shield. Has the Charge Strike: Savage Strike ability. Holy Shield - maximum level of 60, and the upgraded form of Pancea Shield. Upgrades from a Panacea Shield with 70 Magic and 70 Spirit. Has the Esuna and Curaga abilities attached. Elemental Shield - max level of 60, with plenty of elemental buffs. Grows from a Mythril Shield with 20% Fire, 20% Ice and 20% Lightning. Has the Barrier Saver II ability. Magic Shield - a bit of an FF classic, this final form has a max level of 99. Remodels from an Elemental Shield with 50 Magic and 50 Spirit. Has the Barrier Saver X ability. Ruby Shield - found at the Norduscaen Garrison. Max level of 30 with the Deathward ability. Cannot be remodeled. Rusted Plate - Won in the Chocomostro. Max Level of 50. Can remodeled into..
Bloody Shield - 2nd form of the Rusted Plate. Max level of 99. Upgrades from Rusted Plate with 50 Strength, Magic, Vitality, and Spirit. Aegis Shield - Final Form of the Rusted Plate. Max level of 99. Upgrades from Bloody Shield with 99 Strength, Magic, Spirit, and Vitality. Has the Immune and Sentinel X abilities. Armaments made to strike enemies in the air or from afar. Damage output increases when attacking at close range. Mythril Cross - Upgraded Shuriken, max level 40. Remodels from a Shuriken with 20 Spirit. Rising Sun - the final Shuriken form, maximum level 50. Remodels from a Mythril Cross that has 50 Strength and 50 Spirit. Katon Shuriken - Max level 50. Requires a Shiranui with a 50% Fire enchantment. Has the Flamebound and Offensive Spell: Fira abilities. Suiton Shuriken - Maximum level of 50. Evolves from a Fubuki with a 50% Ice enchantment. Has the Stormbound and Offensive Spell: Blizzara skills. Raiton Shuriken - Thunderous weapon with a max level of 50. Evolves from a Pinwheel with a 50% Thunder enchantment. Has the Stormbound and Offensive Spell: Thundara skills. Grows from the Kagenui when it has 20 Magic. Blurry Moon - the final form of the Kagenui. Max level of 50. Remodels from the Kagenui II when it has 40 Strength, 40 Vitality and 40 Magic. Has the Stoptouch X ability. Koga Shuriken II - max level 50, the evolved form of the Koga Shuriken. Remodels when you have a Koga Shuriken with 30 Vitality and 30 Magic. Has the Charge Strike: Clearout and Turnabout Boost X skills. Iga Shuriken II - an evolution of the previous armament, max level 50. Remodels from an Iga Shuriken with 30 Strength and 30 Spirit. Has the Charge Strike: Savage Swipe and Face-off Boost X skills. Cornflower - max level 70, the evolved form of the Petrified Disc. This evolves automatically when the petrified disc hits level 30. Dancing Cross - bought at the Norduscaen Garrison. Max level of 50 with the unique Tempting Tango ability. Cannot remodel. 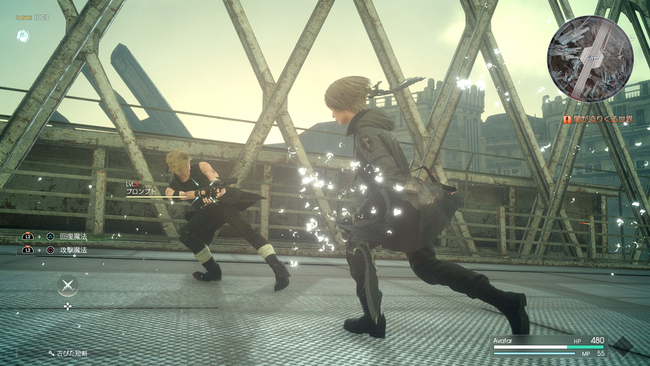 Wing Edge - Your reward from your rematch with Prompto. Max level of 30. Has Rush Boost and can become. Yagyu Darkrood - Final Form of Wing Edge with Max level of 50. Upgrades from Wing Edge with 20 Strength, Vitality, Magic, and Spirit. Hawkeye - found in a map node in 1.2. Max level of 30. 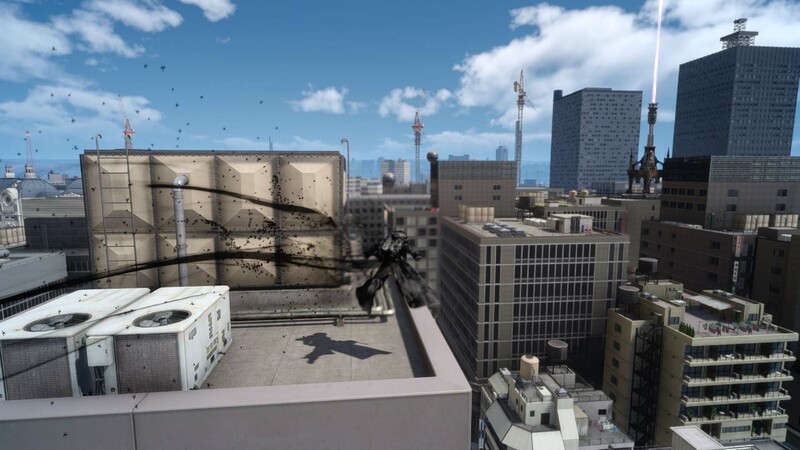 Can remodel..
Fuma Shuriken - the second form of the Hawkeye. Max level of 60. Upgrades from Hawkeye with 50% Dark. Conformer - the final form of this Shuriken. Max level of 99. Upgrades from Fuma Shuriken with 99% Dark. Has the Deathtouch X ability.